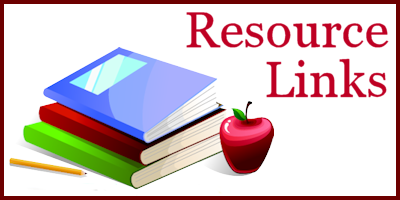 The following resources include links to helpful websites and materials on topics pertaining to family child care. If you know of a relevant site that should be included here, please submit it to us for consideration. CCIC is a mail-order lending library and information center serving anyone in Wisconsin working in the field of child care and early childhood education. CCIC provides free information, library, and adult learning services to help child care professionals give the best possible start to Wisconsin's children. The National Association for the Education of Young Children is a professional membership organization that works to promote high-quality early learning for all young children by connecting early childhood practice, policy, and research. They advance a diverse, dynamic early childhood profession and support all who care for, educate, and work on behalf of young children. NAFCC provides technical assistance to family child care associations by developing leadership and professionalism, addressing issues of diversity, and promoting quality and professionalism through NAFCC's Family Child Care. The Registry is Wisconsin's recognition system for the childhood care and education profession. It verifies that individuals meet entry level and ongoing training requirements of the Wisconsin licensing code and assesses educational accomplishments and professional contributions beyond those required. Supporting Families Together Association positively impacts the world of early childhood by ensuring that effective programming is available statewide, resources are strategically leveraged and maximized, and meaningful connections, relationships and systems are built. The Wisconsin Council on Children and Families, Inc. is a not-for-profit child and family advocacy agency. Its mission is to promote the well-being of children and families in Wisconsin by advocating for effective and efficient health, education, and human service delivery systems. Publishes Capitol Comments, a newsletter that focuses on legislative issues affecting children and families. We are the organization for early childhood professionals and those who support our work. We promote excellence in child development practices through a range of professional growth opportunities and support services. http://www.wecanaeyc.org. The Wisconsin Early Childhood Collaborating Partners is a statewide group of nearly 200 public and private agencies and associations united through a common desire for a blended, comprehensive delivery system for high quality early childhood care and education. Their website brings together many resources to support partnership efforts. The Early Learning Coalition is a broad-based and diverse coalition representing child care, Head Start, programs serving children with disabilities and special needs, and public schools. WFCCA is among the 12 statewide organizational members and is an active participant of the Coalition. YoungStar is a Wisconsin's five-star quality rating system for child care providers based on education, learning environment, business methods, and practices around child health and well-being. Through this rating system, the state is addressing several key issues in Wisconsin's child care system.